It’s been a bad week for Marxist historians. Last Thursday, southern historian Eugene Genovese died; over the weekend, the British scholar Eric Hobsbawm passed away. The two men had strikingly different career arcs: Genovese famously moved from left to right, embracing conservative politics in his late years. Hobsbawm remained on the left. There was at least one point of convergence: In 1995, Genovese reviewed Hobsbawm’s sprawling history of the 20th century in TNR. 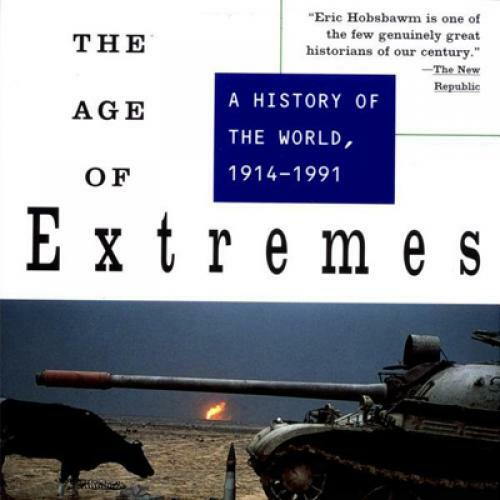 We shall soon be flooded with books that seek to explain this blood-drenched century, but I doubt that we shall get a more penetrating and politically valuable one than Eric Hobsbawm’s The Age of Extremes. A history of the “short” century that began with World War I and ended with the collapse of communism, the book offers a powerful interpretation of the wellsprings of an age of unprecedented economic transformation, mass slaughter and social upheaval. With great analytical force, Hobsbawm tells the story of capitalism’s greatest crises, its triumph over the challenges of communism and fascism, and its current strengths and weaknesses.